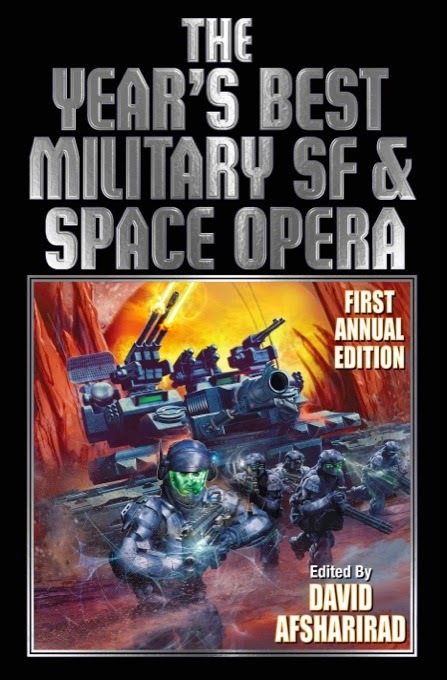 I'm extremely excited to announce that The Year's Best Military SF and Space Opera will be out from Baen Books this June. Why am I pleased to announce this? Because I'm the editor of this fine volume. See, name's on the cover and everything, down there in the bottom corner. The book features 15 stories of military derring-do and pulp-inflected adventure, from top writers in the field. Master of military SF David Drake was kind enough to supply an introduction, which is worth the price of admission, if you ask me. I'll be writing more about the book, sharing news and some thoughts on putting it together, in the coming weeks, so stay tuned for updates.